Will they ever learn … !? 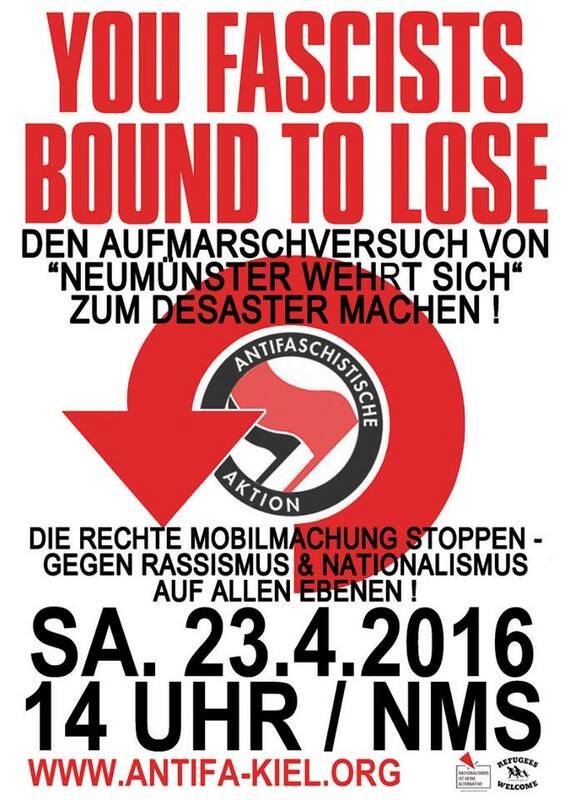 Return to wonderful Neumünster – Antifa do it one more time! Same procedure as last year, Antifa!? Same procedure as every year! Let's go - to Bad Oldesloe ! Fight Fortress Europe and its fans !